The company was incorporated in the year 1998 by three pioneers of the road transporting industry. The company began its operation with only one branch which is now our Head Office, Kolkatta. 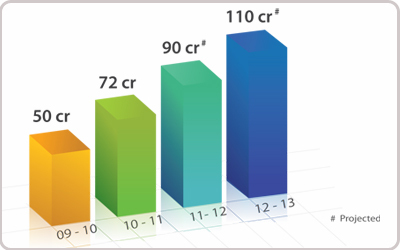 In the span of 10 years the company has its own offices at almost all the major towns & cities in India. We are catering to our clients needs as a multi model transport operator as we serve them thru’ Road, Rail & Air. The directors of the company are very young and energetic with a solid background and past experience in the transport industry. Even INDIAN BANKERS ASSOCIATION has given us an approval in the year 2000. We are also planning to take ISO 9000 accreditation by 2011 end. 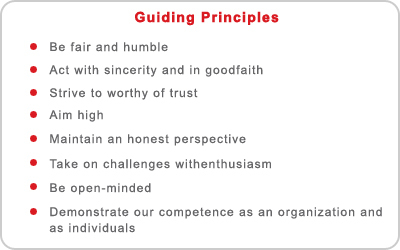 Our ESTABLISHMENT at atmost all the major destination helps us in sorting out local issues. This also helps us in giving our clients a TOTAL LOGISTICS SOLUTIONS, which we have been giving to few clients since the last few years. 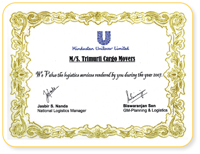 Trimurti Cargo Movers Pvt.Ltd. recieved the certificate from Hinustan Unilever Limited.in the year 2007. 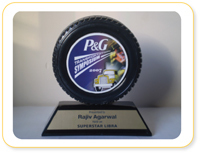 P&G presents Transportation Symposium award presentated to Rajiv Agarwal held on Superstar Libra in the year of 2007.